In God This Country Trusts? Throughout the Bible, there are stories of Israelite kings and priests who lost their blessing from God, and a short time later the Kingdom suffered because of the choices these leaders and the nation of Israel made. It could easily be argued that America is losing the blessing of the Lord based on our detraction from God, Christianity and moral behavior as a nation. Whether you believe in God or not, Christianity in the modern-age has been at the forefront of morality and peace on Earth. Whether God exists or not is irrelevant, it is the morality and the lightness behind the word of God and the story of Jesus Christ which keeps many Americans on the moral path in life. Once individuals begin to act immorally, then other aspects of their life will deteriorate and they will continue rolling down the hill of immoral behavior. There is something to this, whether you choose to believe in it or not. I don’t think that science has given an answer to why moral people seem to be blessed while immoral people seem to struggle through life. If you do right by your fellow man or woman, then good things tend to happen to you. If all of a sudden you begin to do badly by your fellow man or woman, then bad things tend to happen to you. These are intrinsic laws of mankind, and these laws have been with us since the dawn of civilization. You don’t need a government to tell you whether what you are doing is morally right or wrong, you know if your own mind whether what you are doing is right or wrong. 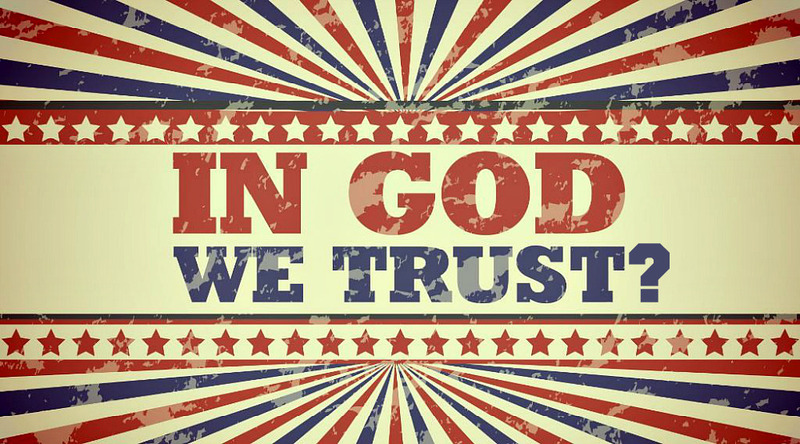 America began adopting “In God We Trust” and similar slogans around the era of the Civil-War, when Christianity became the dominate religion in the United States. Christianity was largely accepted throughout the population of America well before the Civil-War; however, it became much more dominate through the struggles of the Civil-War. While America was one of the few countries on the face of the planet which would let you praise the God of your choice, or no God at all, many Americans were still drawn to the teachings of the Bible and the story of Jesus Christ. After years of immorality (i.e. slavery), America moved to make life for its citizens reflect what was written by the founding fathers in that “all men are created equal.” Although there was still a dark underbelly in America which remained disgusting racist, the transition to a country driven by morality had begun at this time. Beginning at this time in history, America began being truly free. Americans scoured the lands of their country looking for homesteads and land to raise their families and take part in the experiment known as America. They opened businesses and innovated at a rate never before seen. Consider the innovative and technological world we are in today. This was largely made possible by American innovators and entrepreneurs. If the world was in need of a product or service, Americans were on the forefront of creating devices or services to answer that need. In doing this, we started to become the richest nation on the face of the planet, not only in terms of monetary wealth, but a wealth of knowledge and capabilities. Nations where tyranny ruled prevented the population from thinking freely and openly, yet this experiment of freedom brought mankind so much innovation and wealth that we excelled beyond the rest of the world. Then came the central banking system in the early 1900s. At first it was a positive thing, but then local small banks began to be shut-down by these corporate-owned large banks owned and operated by foreign interests and corrupt banksters. Suddenly, America fell behind the curve and experienced an economical depression where work was hard to find for the average American. Small local businesses shut down and innovation seemed to seize. Profits funneled their way to monopolistic banksters and they kept that money as opposed to using it to further grow the economy. It did not take long before the power-brokers began to realize that the United States was never meant to be a tyranny or monopoly and the banksters reluctantly loosened the noose around the American entrepreneur’s neck. I revert to my point that when people begin to act immorally, bad things start to happen. The same intrinsic law of mankind applies to individuals and nations alike. After this moment of realization, the free-market was once again opened for business and the American people began to thrive again for a couple of generations. We went on to participate in the “morally right” fight throughout Europe in the 1940s in an attempt to stop the Nazi war-machine from oppressing the population of Europe and invading more lands which did not belong to them. There is a modern argument to our participation in World War II showing that America actually helped fund the Nazis and this actually checks-out and is true. American banksters, the same families and individuals who began robbing the American public in the early 1900s, also helped Adolf Hitler amass his war-machine and build infrastructure to support the Nazi effort. But the common man and woman who took part in that war knew that they were stopping the spread of something very evil, and most had no clue they were fighting a force initially funded by their own government. They were doing what was “morally right,” and that is all they knew. Then, for a couple more decades following WWII, America thrived once again. The free-market was open for business again and the common man and woman were once again allowed to find a plot of land and raise their family in peace. America had carried out operations stopping the spread of tyrannous powers throughout the world, the economy was thriving, and everything seemed as though God had blessed this great nation of ours. At some point in our more recent history, corruption and immorality in the United States government became more prevalent than its moral behavior. The corruption came on quickly and it came on strong. 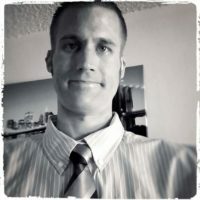 There had been corruption in America for many…many years, however it was nowhere near as prevalent as the point we have reached today, nor had it caused a massive culture change throughout the lands of America. We still had the central banking system funneling their profits from the honest and hard-working American, however it was never as detrimental as it has become today. Backdoor crony-capitalism and selling America’s services to foreign interests has become the name of the game in the modern-age, and we are right back to acting immorally as a nation. Our so-called “leaders” are selling secrets to enemies (*see article link below*), selling favors to foreign nations (*see article link below*), and moving right back to a monopolistic way of thinking. Only the largest corporations received federal bailout money from the Obama Administration, and these corporations are the ones causing the financial crises by greedily keeping the profits for themselves rather than spreading the wealth to the common man or woman in American society. Both corporately and governmentally, America is becoming a tyranny where only the people on the top are reaping the benefits of our society. Immorality is spreading like wildfire and the powers- that-be are encouraging such behavior on regular basis. Something had to give in modern society before America went too far down the path of monopolistic and tyrannous behavior, and in-came President Donald J. Trump. There are even some who have researched Trump’s campaign and Presidency in terms of Trump being sent by God in order to save America from this detrimental path we are on, and there is some credence to such a thought (*see YouTube video below*). Now, whether you believe any of what I am saying is ultimately up to you, however if you have read this far into this article, I highly recommend you take another hour of your time and at least watch the video below. The moral of the story I am trying to convey, is that mankind has forever been battling the forces of good and the forces of evil. Individuals see this battle in their day-to-day lives by the choices they make in their life, but if you think about it on a much larger scale of humanity, anytime that a nation has become immoral and begins spreading their immorality on the rest of the world they collapse or are defeated shortly after. Had Hillary Clinton been elected to the Presidency, this nation would very likely have moved away from God and morality altogether, however, Donald Trump invites and even invokes God into America in this time of darkness and struggle in America’s history. He has been mentioning God in his major speeches, and when he does he makes sure to highlight it. President Donald Trump is trying to look out for the common man and woman throughout this nation by once again encouraging economic growth for all of us as opposed to lining the pockets of a few corporations. Entrepreneurship, fewer taxes on the people, fewer regulations on businesses, better healthcare which doesn’t fine you for not having it, less deals with foreign countries taking our jobs and wealth away, less corruption in government, honesty in the media and many other “morally right” policies which will benefit America in the near and the distant future. America has begun to once again move in the right direction of morality, even in the face of those who oppose this even within our own government. The mainstream media is part of the same corporations which control the American economy, and they are closely tied into (if not directly funded by) these same corrupt politicians who have put us in this situation. They spread disinformation and lies to the American people in support of politicians who have clearly been acting immorally in their positions of power. Eventually the truth of their corruption and lies will come out and they will have to face the wrath of the American people, whom largely support their country acting morally as opposed to immorally. One could argue that there is a massive battle between good and evil, lightness and darkness, or whatever euphemism you choose to represent the battle of morality vs immorality. One could also argue that there is no God and everything I am saying in this article is off-base and unsubstantiated. I would argue that whether God exists matters nil. History proves that “what goes around comes around,” and a nation’s actions define them in the eyes of the world. Personally, I think God absolutely exists and his hand definitely is behind everything that is happening right now in the world. My opinions, however, also matter nil in this equation. Either we will collectively change our ways or we will oust the first leader who has suggested such things for decades. Many Americans are listening to the news and believing what they hear about Trump, however if you look at what the man says and does, he has morality and the American people in-mind in just about everything he says and does. Any liberty-loving and free-market advocate should be able to easily get behind such a movement, however with these mainstream media outlets lambasting such an ideology every chance they have it becomes difficult to move forward. Whether we can weather the coming storm is up to us, the American people. God has blessed these lands and blessed mankind with the ability to choose. Either we will recover like we have in the past, or we will continue down a road of immorality and likely collapse as a society. Ancient Israel went through this process many times over. They were conquered and defeated and their people forced into slavery on multiple occasions, which were at the time thought to be signs from God. While I encourage people to have their own beliefs and I support those who do not believe in God at all as much as those who do, I believe that America is clearly at a crossroads which will define its future. Either we return the power to the people, or proceed down a path of corruption and destroy ourselves. I will leave you with a long quote from Abraham Lincoln from 1838. It seems as though Abraham Lincoln could see the future in what was going on around him at the time. The question remains to be seen of whether we really do trust in God, or whether we will die by national suicide. “In the great journal of things happening under the sun, we, the American People, find our account running, under date of the nineteenth century of the Christian era.–We find ourselves in the peaceful possession, of the fairest portion of the earth, as regards extent of territory, fertility of soil, and salubrity of climate. We find ourselves under the government of a system of political institutions, conducing more essentially to the ends of civil and religious liberty, than any of which the history of former times tells us. We, when mounting the stage of existence, found ourselves the legal inheritors of these fundamental blessings. We toiled not in the acquirement or establishment of them–they are a legacy bequeathed us, by a once hardy, brave, and patriotic, but now lamented and departed race of ancestors. Theirs was the task (and nobly they performed it) to possess themselves, and through themselves, us, of this goodly land; and to uprear upon its hills and its valleys, a political edifice of liberty and equal rights; ’tis ours only, to transmit these, the former, unprofaned by the foot of an invader; the latter, undecayed by the lapse of time and untorn by usurpation, to the latest generation that fate shall permit the world to know. This task of gratitude to our fathers, justice to ourselves, duty to posterity, and love for our species in general, all imperatively require us faithfully to perform. How then shall we perform it?–At what point shall we expect the approach of danger? By what means shall we fortify against it? — Shall we expect some transatlantic military giant, to step the Ocean, and crush us at a blow? Never!–All the armies of Europe, Asia and Africa combined, with all the treasure of the earth (our own excepted) in their military chest; with a Buonaparte for a commander, could not by force, take a drink from the Ohio, or make a track on the Blue Ridge, in a trial of a thousand years. Lincoln, A. (1838, January 27). Lyceum Address. The Perpetuation of Our Political Institutions:. Springfield , IL, United States of America: http://www.abrahamlincolnonline.org/lincoln/speeches/lyceum.htm. The "Intelligence" CommunityAre Liberals Angry because they're Liberal?